Sonoma’s passion for healing extends into the animal realm, embodied by its animal healthcare line of products, now available under the MicrocynAH® and partnered Theracyn® brands. 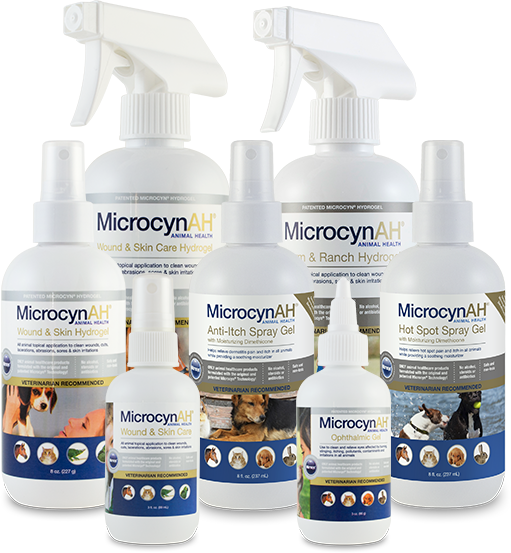 For all creatures from large to small—dog, cat, horse, bird, goat, chicken and others— MicrocynAH® is available to consumers, both domestic and international, online as well as via thousands of retailers and veterinarians around the globe. With over a dozen unique products to assist our four-legged and winged friends in their healing, the product pipeline continues to expand with an innovative lineup of upcoming products. A unique and patented hypochlorous acid solution, MicrocnAH® and Theracyn® both deliver superior shelf life and are clinically proven to be non-toxic, efficacious, and can safely be used around the nose, eyes, ears and mouth. No mixing or dilution is required. Theracyn® is a trademark of Manna Pro Products Inc.